I wanted so desperately to like Adult World, but that was made impossible by horribly passive direction from Scott Coffrey and a bipolar screenplay from Andy Cochran that veers back and forth from obvious and cliché plot points to forced quirkiness in character development. Despite having a few unique things to say about our society’s desire for fame and celebrity, Adult World’s positive ideas are overtaken by the screenplay’s assortment of purposefully unsympathetic characters and a hipster ideology. Only the supporting performance by John Cusack saves this film from being entirely tiresome. 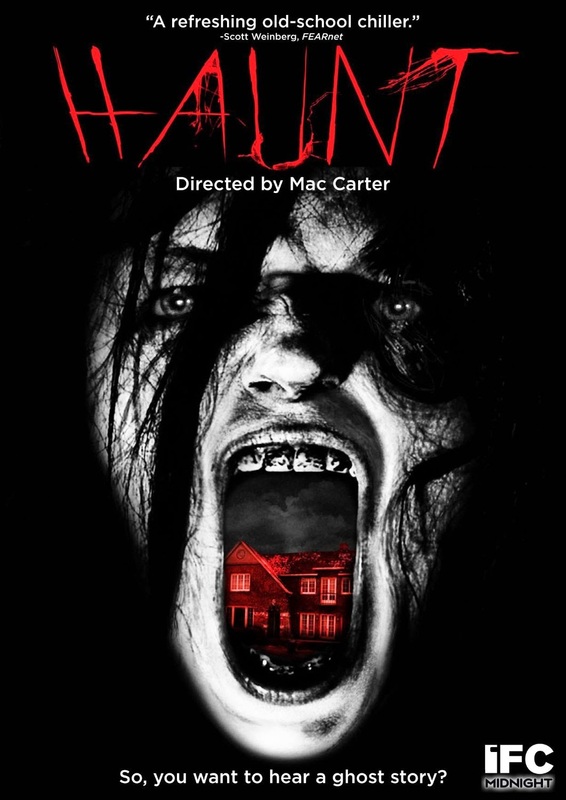 There are a number of technical aspects which are competently made within Haunt, but they are so far removed from the logic of the film and its storyline that this film feels more like the ghost of better haunted house films than an original story of its own. The biggest problem is a complete lack of character development, not to mention the missing cohesion between the cast members meant to be a family. There is no feeling of connection between the family members, mostly because the characters don’t feel developed enough to matter to each other. This film is far more interested in well-photographed eerie and foreboding images, and a few special-effects driven scares enhanced by a noisy soundtrack. In other words, this is like a dozen other haunted house films, instantly forgettable for having nothing to set it apart. Documentaries are the most forgiving independent films in terms of critical praise. There is less of a need for production values in the medium, and even home movies can be turned into compelling entertainment if the subject is intriguing enough. Films can be made without much of a crew or even a concept of what the film will be or what it has to say, and a lot of the time keeping the camera running is all that is needed for the personal drama to unfold naturally. 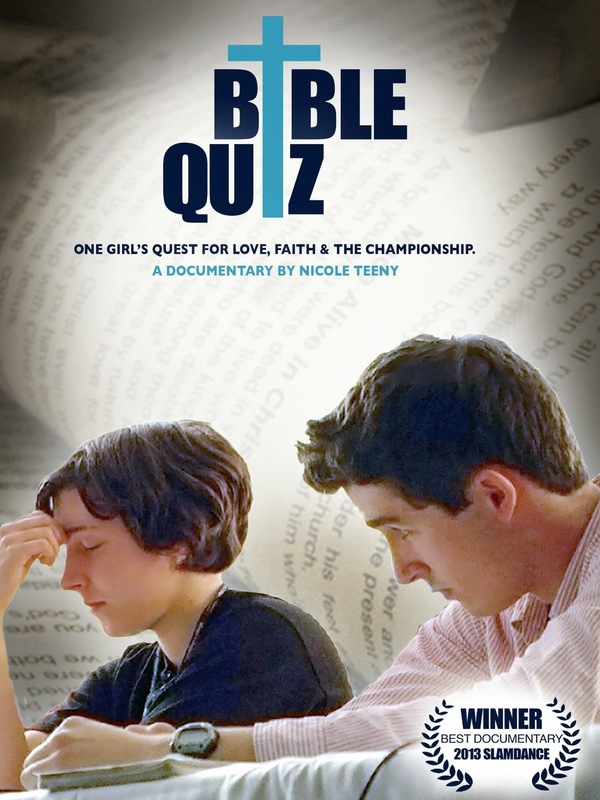 Bible Quiz is made by Nicole Teeny, and it is no surprise to find that one of teens at the center of the storyline is a Christopher Teeny. Most successful films are re-released on special anniversary edition DVD and Blu-ray releases after ten years, and a few even have special events to celebrate the landmark. 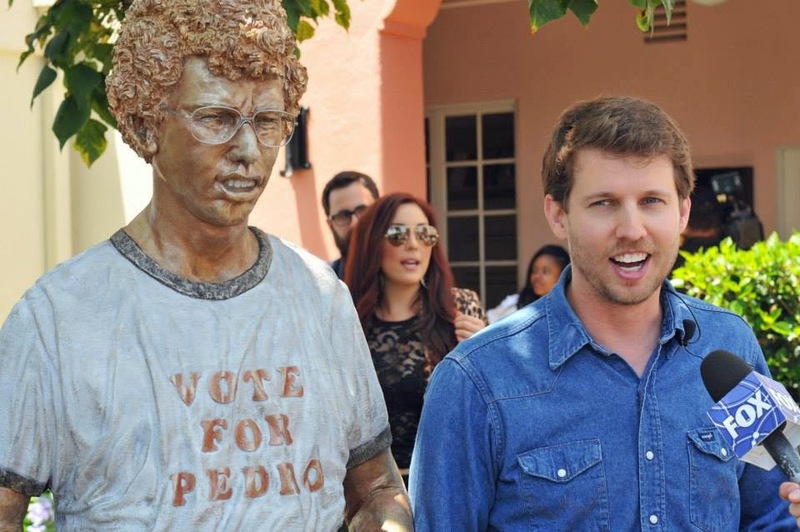 The honor bestowed on Jon Heder’s portrayal of the title character in Jordon Hess’ Napoleon Dynamite Monday afternoon on the 20th Century Fox Studio lot was something else entirely. Now housed just beyond the studio’s main entrance is a multi-colored bronze statue of the tater-tot-loving bespectacled odd-ball. Every other country has made a zombie film, so why not Denmark? Kill Zombie! doesn’t take itself too seriously, which is the only saving grace of yet another attempt at the flooded sub-genre of horror. Having the zombies in Amsterdam is not an original enough concept to detract from similarities this film shares to similar horror-comedies made in England (Shaun of the Dead) and the United States (Zombieland). While I would rather watch Kill Zombie! 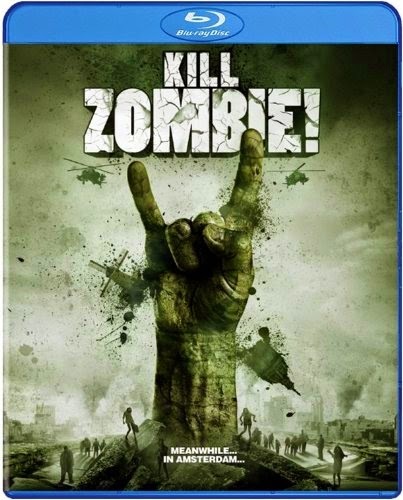 over any of the zombie films taking themselves too seriously, I would watch the films that this one is imitating first as well. I never thought that I would say that a Johnny Knoxville movie is too sensitive for its own good, but that is most certainly the case with The Ringer. Despite the brazen storyline of a man pretending to be mentally handicapped in order to fix the Special Olympics and the fact that Knoxville was coming off of his success with the shock humor of “Jackass,” The Ringer is nearly entirely all good-natured humor. Trim a little bit more and I’m willing to bet they could have moved this soft PG-13 down to a PG. These days there is an entire market of LGBT entertainment, even a distribution label focusing exclusively on films with these characters and themes, but it is still rare for a movie with gay and lesbian themes at the forefront of the narrative to become mainstream successes. What is really remarkable is that Kissing Jessica Stein still seems ahead of its time twelve years after it was made. How many widely distributed LGBT romantic comedies have been released since this film?